Indulge in a pair of luscious mini cheesecakes. 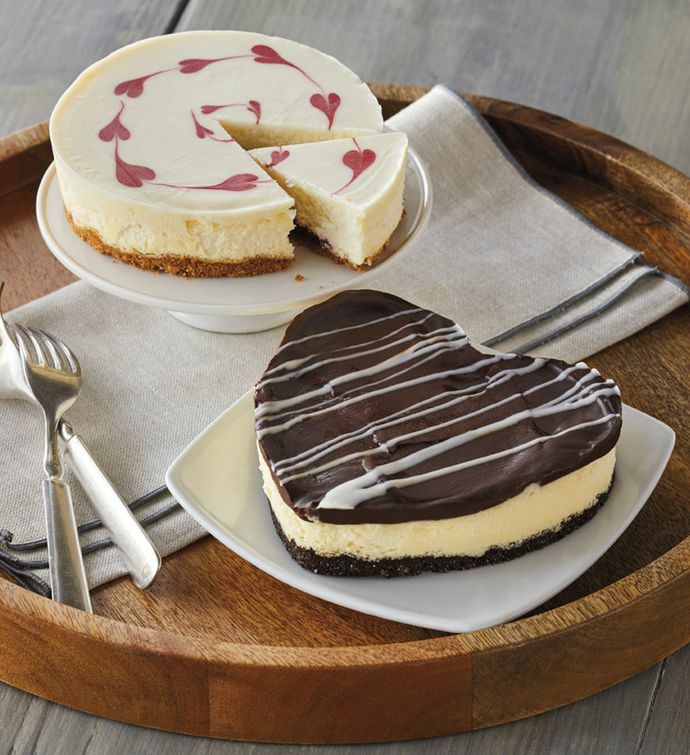 Rich and creamy, this gift features New York-style cheesecake with dark chocolate ganache and raspberry cheesecake topped with silky white chocolate. These tempting desserts are baked and hand-decorated with adorable heart designs in our Southern Oregon bakery. A sweet way to celebrate any occasion, your gift arrives ready to thaw and serve.